REGISTRATION FOR GVLX9 IS OPEN! 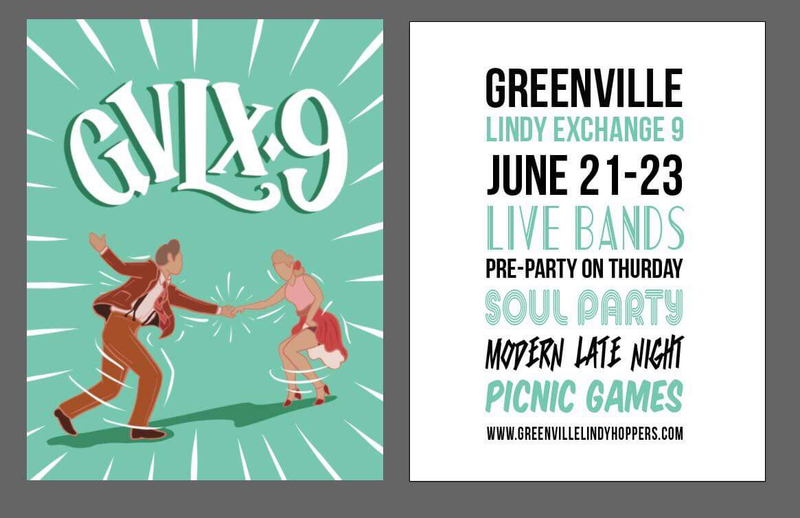 You won’t want to miss Greenville’s hottest and most swinging summer weekend dance event! Join the Greenville Lindyhopper’s for a weekend of dancing as we welcome dancers from all across the South East and beyond. With live bands and DJ’s playing your favorite swing tunes all weekend long, you can be sure there’s never a shortage of good music and dancing to be had all weekend!